Every time my little girl shows me a new drawing, I would always end up smiling if not at all laughing. Her ideas are really funny and normally depicts her daily activities or what have just transpired in her life. She would often draw princesses, an image of herself or even food that she wants to serve on her birthday parties. 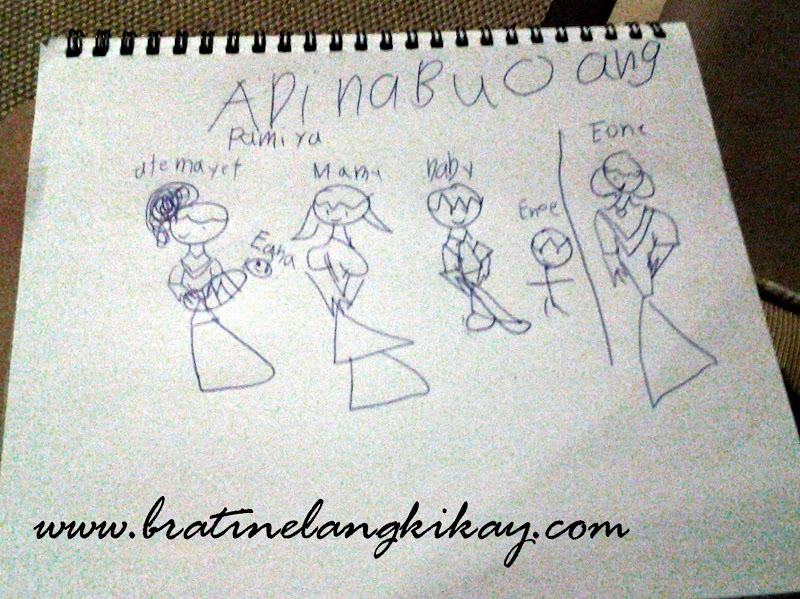 So imagine my surprise when her nanny showed me Eone's drawing yesterday after she had just been reprimanded by her Dad. We caught her hitting her little brother and also had been very naughty all throughout the day. She also refused to take her afternoon nap. I cried when I saw this picture made by her. Simple as it is but it showed how much she's been 'hurt' when her Dad imposed discipline on her that she felt she's no longer part of our family. I do remind The Hubby to explain to our daughter why we are upset with what she did, hence, the punishment. 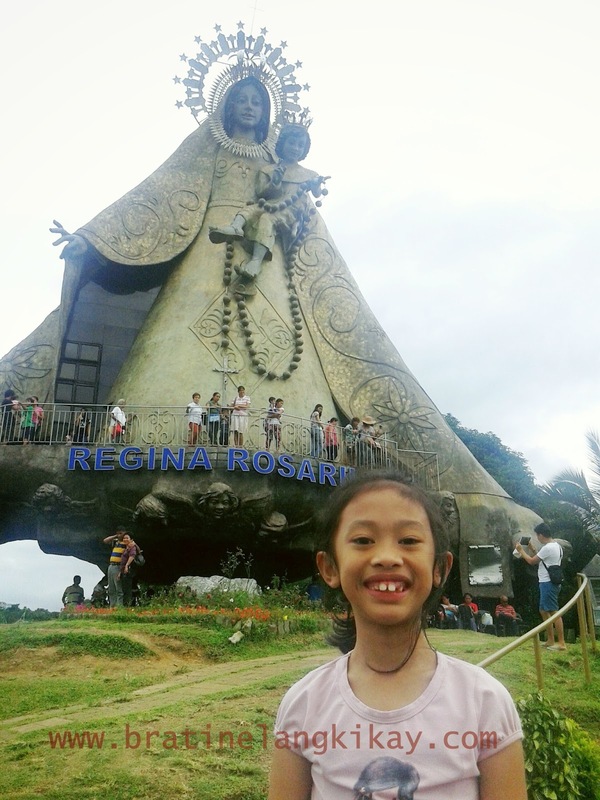 I know her sensitive mind and heart would not comprehend the logic; what overpowers her at that moment is the feeling of being unloved, and the pain of Mommy's betrayal when I ignored her hand when she reached out to me for help. I never realized 'til now how hard it is to balance discipline and affection with our children. I don't want my kids to feel unloved even for a brief moment but neither do I look forward to having spoiled brats in the house who would have us follow their every whim.